Earth sciences; Biological sciences; Environmental systems. Bee keeper inspecting a frame of honeycomb. Author provided. Honey bees are responsible for pollinating crops worth more than US$19 billion and for producing about US$385 million in honey a year in the United States. In Australia, honey bee production is a A$92-million industry. But throughout the world, honey bees are disappearing at an alarming rate. Since 1990, more than 25% of the managed honey bee population in the US has disappeared. Why is this happening? The decline has mainly been attributed to a phenomenon called colony collapse disorder (CCD). Although still poorly understood, it is thought to be caused by the combined effect of interrelated factors that weaken hive health. These include shifting flowering seasons due to climate change, reduced floral diversity, use of pesticides, habitat loss, lack of genetic diversity, insect parasites and harmful microorganisms. 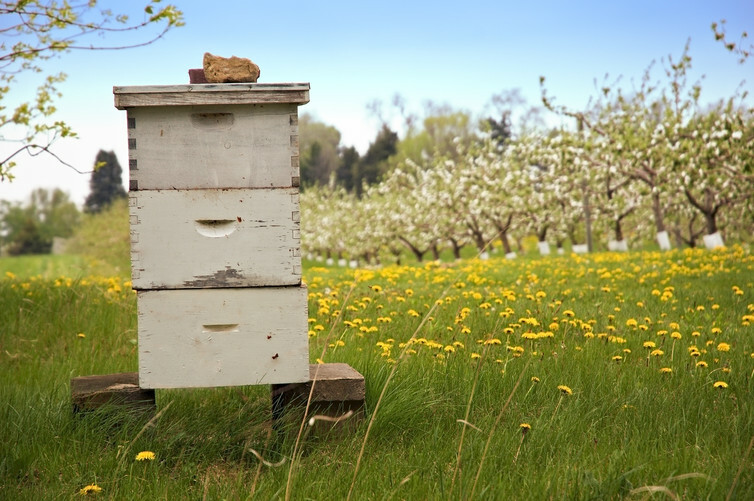 The beehive itself plays a key role in increasing honey bee resilience. Curiously though, the Langstroth hive most common among commercial beekeepers today is almost completely unchanged since its invention in the late 1850s. A typical Langstroth bee hive, a design not changed for many years. A Langstroth hive provides a plethora of design opportunities to greatly benefit both bees and beekeepers. Beekeepers regularly inspect their hives to check the health of the colony, the laying pattern of the queen, the quantity of honey and to detect pests and diseases. The inspection process involves disassembling the hive into almost all its component parts, inspecting each one and then reassembling the colony and moving onto the next. This is a stressful and destructive process for honey bees and can temporarily weaken the colony and attract pests. For example, Small Hive Beetle hunts down hives by smell and then lays its larvae in the honeycomb. The tools for opening the hive and the hive components themselves can be responsible for infection from bacterial diseases such as American Foulbrood, which can quickly destroy a healthy hive. Underpinning the Langstroth hive’s modular design and movable comb frames is bee space – the goldilocks zone of space that is not so small that bees gum it up with their own building material propolis, and not so large that they try to build bracing honeycomb structures in between. A Langstroth hive is so practical that its design has not changed in almost 160 years, until now. The crowdfunded FlowHive drains honey from a comb without requiring its removal. The brood of the colony still needs to be examined and monitored in the conventional way using protective gear and a smoker. We are experimenting with bee-centred design. These are hives designed to provide a more natural equilibrium between bees and beekeepers. With the rise of the urban hobby apiarist, armed with a handful of open-source technology tools, the physical design of the beehive itself is in the spotlight of the makers and tinkerers. Digital hive plans made available free online are in a continual state of iteration as FabLabs and maker spaces around the world create new 3D printed prototypes. The focus of the maker movement is not limited to the physical design of the beehive, but is also increasingly introducing digital sensors. With some early experiments in temperature and humidity monitoring in hives, a number of products and crowd funding campaigns have launched, offering beekeepers the ability to remotely monitor their hives on their smart phone. These products offer hive weight readings so that beekeepers know when to harvest their honey, GPS locations for tracking stolen hives, even bee counters so that bee foraging patterns may be detected. While these sensors have been used in other contexts, the ability to transmit and interpret datasets is new to beekeeping. This provides not just data but a suite of tools from which the health of a bee colony can be deduced. While many such technology applications are still in their infancy, a vibrant community of artists, scientists and engineers are also designing systems that retrofit existing hives. Professor Paulo de Souza, a CSIRO entomologist in Tasmania, is gluing tiny RFID chips to bees in a quest to track generational impacts of pesticide exposure and genetically modified pollen. Anne Marie Maes, an artist in Brussels, is sampling sounds through hive embedded piezo-electric microphones. Her aim is to recognise hive health by identifying patterns in the audio datasets. The EyesOnHives system uses cameras to optically track individual bee movements. Using an approach similar to image recognition systems, it develops day-to-day signatures of the bee activities from which changes in hive conditions can be detected early while remedy is still possible. With digital sensors being introduced into the beehive, hive odours have yet to be investigated, despite advances in odour sensing technology and its application to identifying human disease, environmental toxicity and food contamination. In our recent research, we are combining expertise in insect olfaction, analytical chemistry and environmental informatics to pioneer a new approach: odour sensing for early detection of honey bee disease. We are trialling electronic nose technology to explore ways in which it can be used by beekeepers as citizen scientists. Odour sensing to monitor hive health provides an unprecedented opportunity to increase the resilience of our food system using sensor technology and data analytics. The rapid decline of honey bees worldwide is one of the most significant losses of a single species humans have faced. By investigating the use of odour sensors for honey bee hive health, we want to enable beekeepers to capture real-time data for early diagnosis that can help prevent the catastrophic losses of honey bee populations in Australia and worldwide. Research assistance provided by Dan Cook, industrial design student at QUT, who was awarded a Vacation Research Experience Scholarship to work on this research project. A golden-tailed gecko – one of the inhabitants of the Brigalow Belt. Eric Vanderduys, Author provided. 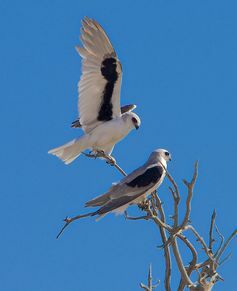 The Brigalow Belt in Queensland is a national hotspot for wildlife, especially for birds and reptiles. Many of these, such as the black-throated finch, golden-tailed gecko and brigalow scaly-foot are found nowhere else in the world. But the region is also one of the most transformed and contested areas in Australia. People want to use the Brigalow for many different things: conservation, grazing, agricultural production, mineral and gas extraction. This region also overlaps with the country’s largest reserves of coal and coal seam gas. Together, the economic activities in the region bring land clearing, changes to water sources, invasion of exotic species and changed fire patterns, which threaten the region’s unique biodiversity. Currently, at least 179 species of plants and animals are known to be threatened in the region. In research published today we look at the best way to conserve these species, attempting to balance the competing uses of this region. The Brigalow Belt in Queensland. The Brigalow Belt bioregion takes its name from the Aboriginal word “brigalow” that describes the region’s dominant tree species (Acacia harpophylla). Brigalow trees can grow up to 25 metres in height and are characterised by their silver foliage. Brigalow trees – a relative of the golden wattle, Australia’s national floral emblem. Brigalow ecosystems once formed extensive open-forest woodlands that covered 30% of the region, but since the mid-19th century about 95% of their original extent has been cleared, mostly for farming. The remaining 600,000 hectares of relatively small, isolated and fragmented remnants of brigalow forest are now protected as an endangered ecological community. The Semi-Evergreen Vine Thicket, or bottle tree scrub, is also listed. Mammals are the most threatened group of the region. 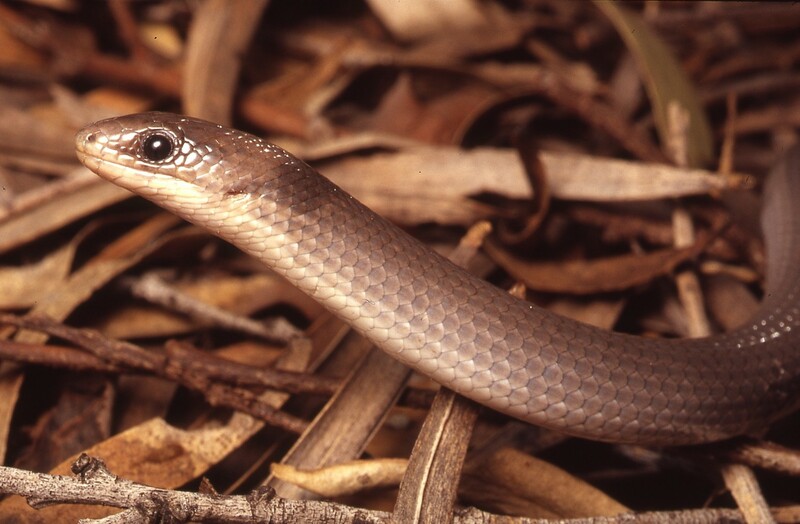 Eight species are already extinct, some of them locally (such as the eastern quoll and northern bettong) and others globally (such as the Darling Downs hopping mouse). Other iconic mammals in the region include the bridled nail-tail wallaby and the northern hairy-nosed wombat. Both are listed as endangered at federal and state levels. Traditional owners managed the region, including through burning practices, until the arrival of the first European settlers in the 1840s. Since then, management practices have changed markedly, especially with the establishment of the Brigalow and Other Lands Development Scheme in the 1950s. This scheme provided new settlers, including many soldiers returning from the second world war, with infrastructure, financial assistance and a block of bushland. In return, they were expected to clear their land and establish a farm within 15 years to support the growing Queensland population. Since then, the rate of clearing of Brigalow has varied in response to changes in legislation through time. 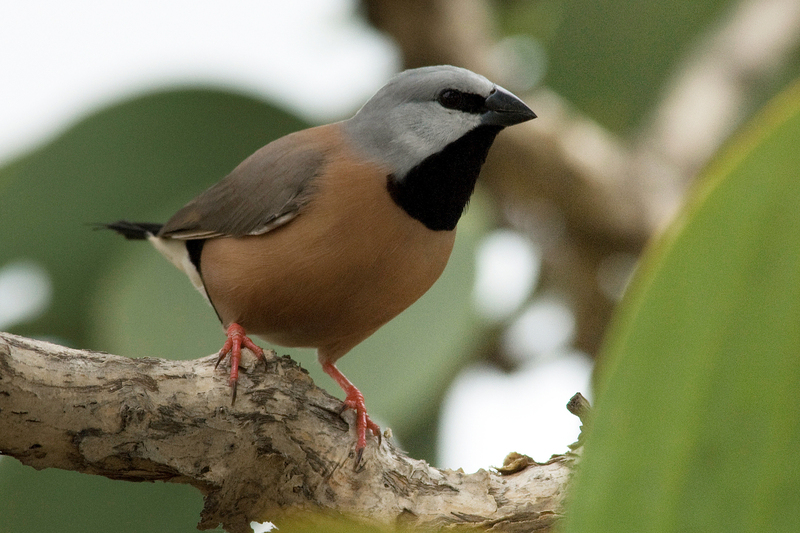 The black-throated finches of the Brigalow are regarded as endangered. There are many ways of dealing with the threats facing the Brigalow’s biodiversity. But which gives us the most bang for our buck? We worked with 40 key stakeholders from the region to answer this question. You might think there’s a simple answer: stop development. However, native plants and animals in the Brigalow region are threatened by an accumulation of past, current and future land uses, and all need to be addressed to save these species. Stakeholders focused on the strategies they believed to be the most feasible and achievable for minimising negative impacts and managing threats arising from all land uses in the region. The strategies, listed below, target several threats posed by industries in the region, such as agriculture, grazing, coal mining and coal seam gas. The stakeholders included a strategy to “build a common vision” because they saw this as vital to achieving the other strategies. This common vision would be built by stakeholders to identify shared goals that balance environmental, social and economic considerations, such as the extent and nature of future developments. Not a snake, but a legless lizard: the Brigalow scaly foot. We discovered that managing fire and invasive plant species would provide the best bang for our buck in terms of protecting the Brigalow Belt’s threatened plants and animals. Protecting remaining stands of vegetation offered high benefits to native wildlife, but came at high economic costs. We also discovered that building a common vision will improve the effectiveness of the other management strategies. Experts estimated that it would cost about A$57.5 million each year to implement all 11 proposed management strategies in the Brigalow Belt. This is around A$1.60 per hectare each year. If we don’t make this investment, it’s likely 21 species will disappear from the region over the next 50 years. But if we implement the 11 strategies, 12 of these species will likely survive (including the regent honeyeater, northern quoll and bridled nail-tail wallaby) and the outlook of many other species will improve. Species-specific recovery plans may help stop the other nine species (such as the northern-hairy nosed wombat and the swift parrot) from being lost from the region. When it comes to saving species, working together with a common vision to balance the needs of wildlife and people will deliver the best outcomes in this contested region. Coastal communities around the world are being increasingly exposed to the hazards of rising sea levels, with global sea levels found to be rising faster over the past two decades than for the bulk of the 20th century. But managing the impacts of rising seas for some communities is being made more difficult by the actions of governments, homeowners – and even some well-intentioned climate adaptation practitioners. Coastal adaptation policies usually carry political risk. One of the main risks is when communities end up divided between those wanting a response to the growing risks of coastal flooding, and those more concerned about how their own property values or insurance premiums might be hit in the short-term by such action. For some, the biggest threat is seen to be from sea level rise adaptation policies rather than sea level rise itself. Some organisations and governments have side-stepped the political risk by commissioning or preparing adaptation plans – but then not implementing them. A colleague of mine describes this as the “plan and forget” approach to coastal adaptation. It’s all too common, not only here in Australia but internationally. And it can be worse than completely ignoring the risk, because local communities are given the impression that the risk is being managed, when in fact it is not. The Australian Broadcasting Corporation’s Catalyst program examines past and future sea level rise. Coastal adaptation researchers and practitioners (and I’m one of them) must reconsider some of the common recommendations typically contained in coastal adaptation studies. In my experience, well-intentioned but poorly considered recommendations – such as advocating for highly urbanised city centres to be relocated inland – prevent many adaptation studies being implemented. Relocating buildings and other built infrastructure further away from the coast to reduce or eliminate the risk of flooding might sound like a sensible, long-term option, and indeed it is in some cases. But too often, the advice given to “retreat” or relocate established, highly built-up city blocks makes little economic or practical sense. Such advice can be inconsistent with well-established engineering disaster risk reduction frameworks such as Engineers Australia’s Climate Change Adaptation Guidelines in Coastal Management and Planning. Much to the chagrin of many in the coastal adaptation science community, cities and owners of major coastal facilities around the world are voting with their feet – largely rejecting coastal retreat recommendations in favour of coastal protection. New York is perhaps the best example of governments and individuals alike choosing protection rather than retreat. In October 2012, Hurricane Sandy left behind a trail of destruction of more than US$71 billion in the United States. In New York alone, 43 people were killed. We expect that by mid-century up to one-quarter of all of New York City’s land area, where 800,000 residents live today, will be in the floodplain. If we do nothing, more than 40 miles of our waterfront could see flooding on a regular basis, just during normal high tides. and develop waterfront areas for the benefit of all New Yorkers. The city cannot, and will not, retreat. Similarly, none of the winners of Rebuild By Design – an international competition to make New York and surrounding regions more resilient to coastal inundation – focused on retreat strategies. In fact, some involve intensifying urban areas that were under water during Hurricane Sandy. In the worst hit areas, even when given the choice of a state buy-out scheme relatively few New Yorkers chose to leave. PBS Newshour looks at how New York and other world cities can better protect against rising seas and storm surges. Although not directly related to climate change, the Japanese response to the devastating 2011 tsunami is another telling example. There, some residents did choose to relocate to higher ground. However, the government did not relocate major facilities inland, including the Fukushima nuclear facility. Instead, Japan will spend US$6.8 billion to form a 400-kilometre-long chain of sea walls, towering up to four storeys high in some places. In Melbourne, Australia, four local councils from the Association of Bayside Municipalities worked on the science-based Port Phillip Bay Coastal Adaptation Pathways Project to systematically identify the most effective adaptation responses. That project highlighted the effectiveness of accommodating and reducing flooding through established engineering approaches. 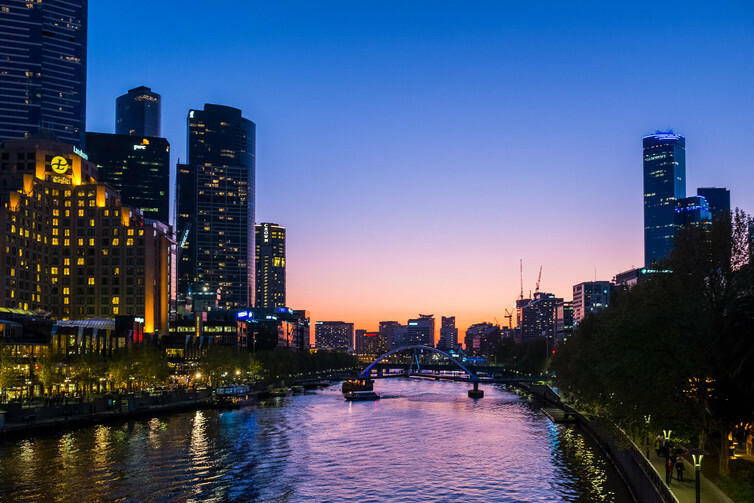 For example, the project concluded that while the popular Southbank waterfront in the City of Melbourne is likely to see even more common and extreme flooding in the coming decades, “retreat is not necessary”. The Yarra River flows through the heart of Melbourne, in Australia, with Southbank on the left. Coastal adaptation studies and plans need to be based on practical, defensible and implementable recommendations. That means climate adaptation practitioners need to refrain from recommending that major urbanised coastal centres be relocated further inland in coming decades, unless that really is the only viable option. Instead, I think we can achieve more by concentrating more on how lower- and medium-density coastal communities can adapt to higher sea levels. This is a more challenging problem, as economic analyses can produce very different recommendations depending on which so-called “externalities” are included or left out in the analysis. On the same note, adaptation studies that make recommendations without considering the impacts to present-day home-owners, or how adaptation plans are financed, can also be unhelpful. 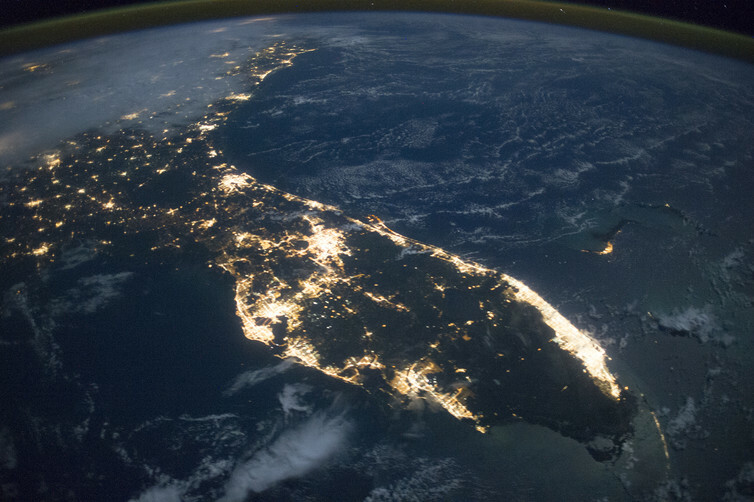 Florida, USA, photographed from space – one of many highly urbanised coastal areas around the world needing to adapt to rising seas. Good adaptation strategies need to acknowledge the real political risks involved with any change involving people and property. Along with making recommendations, they also need to lay out an implementation plan showing how individual and community concerns will be taken into account. So far the climate models have done a good job in estimating the likely future sea levels. The same cannot be said for our adaptation responses. But if you’re looking for examples of how we can be better prepared for growing sea level risks, initiatives such as the Port Phillip Bay Coastal Adaptation Pathways Project and the Queensland Climate Adaptation Strategy (currently under development) seem to be heading in the right direction. The yellow-footed rock wallaby is just one of the rare species found in the Lake Eyre Basin. Angus Emmott, Author provided. Australia’s Lake Eyre is perhaps best known as the continent’s largest lake, and for the rare floods that bring the desert to life. But Lake Eyre is much more than a lake. Taking into account the rivers that drain into it and where they come from, the Lake Eyre Basin is one of largest inland draining systems in the world, the size of Germany, France and Italy combined. 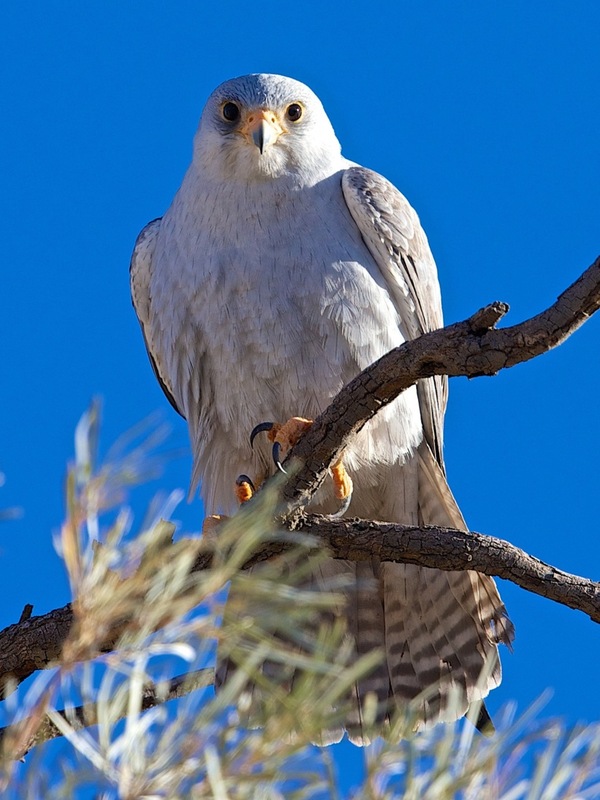 It is home to many natural wonders, such as Uluru, and many species of threatened wildlife. It is also threatened by invasive animals and plants, and climate change. How can we best protect the basin, given finite funds? In two studies (published this week in Global Change Biology and the Journal of Applied Ecology) and in two CSIRO reports we show that managing feral pigs is one of the most effective ways to ensure the basin remains healthy in the future. 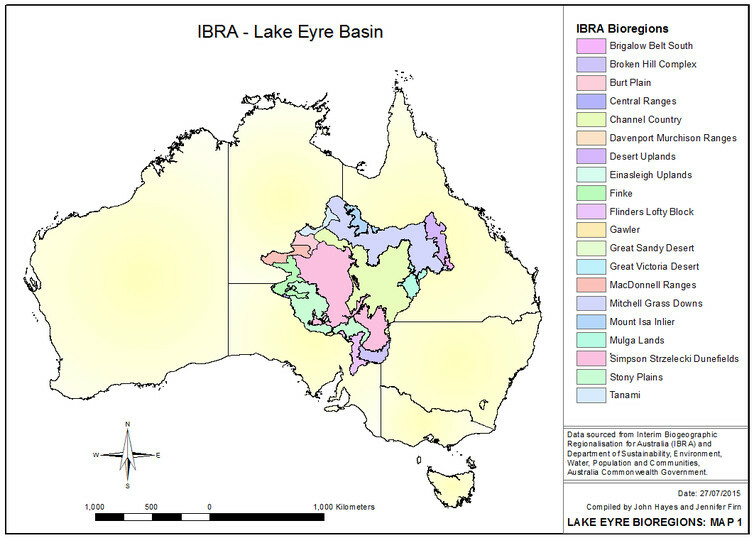 Ecosystems in the Lake Eyre Basin are intimately connected when rainfall is high and water is flowing through three major river systems. Decisions within the four states that manage the basin – Northern Territory, Queensland, South Australia and New South Wales – will impact neighbouring habitats. Australia’s Lake Eyre Basin covers 120 million hectares. This huge area of the outback has a rich and thriving Indigenous culture stretching back tens of thousands of years, with Indigenous people making up 40-90% of the population. The basin contains natural and cultural assets such as Kati Thanda-Lake Eyre, Uluru, Coongie Lakes and other internationally important wetlands. There are threatened “mound springs” (EPBC Act 1999, which are permanent wetlands in arid ecosystems fed by the water from the Great Artesian Basin that provide refuge for at least 13 plant species and 65 animal species that occur nowhere else on earth. 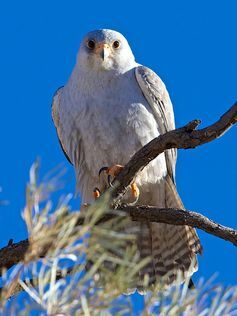 The basin is also home to many other unique, rare, threatened species such as the greater bilby, yellow-footed rock wallaby, night parrot, grey falcon and letter-winged kite. Mound springs are home to many unique species. Invasive species and climate change are two things scientists are most concerned about in the Lake Eyre Basin. The basin is already characterised by a highly variable climate and climate change impacts are predicted to increase this variability. 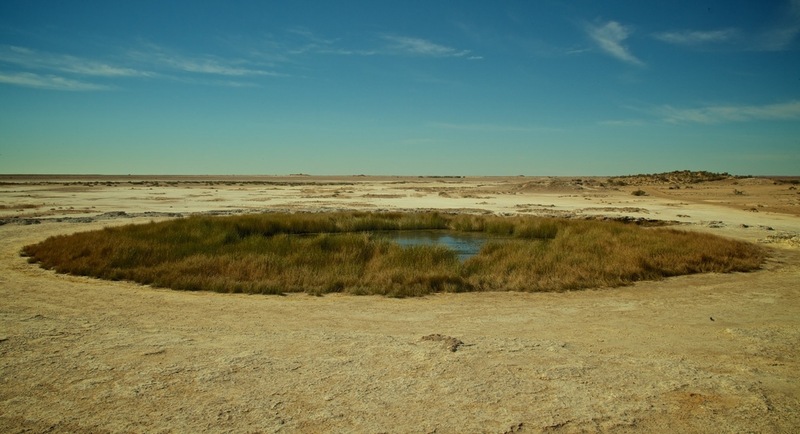 Significant pressures are threatening the natural systems of the Lake Eyre basin, with exotic animals’ and plants’ establishment and spread being major concerns. Climate change is also a major concern as it is altering the habitat suitability for many native species and may increase the severity of other threats, such as invasive species. Invasive animals can reproduce and spread quickly, as they are highly adaptable to changing weather and biotic conditions. This combined pressure from climate change and invasive animals will impact on threatened native species already disadvantaged by habitat and environmental conditions. We estimated that 29 species (including the greater bilby) would be at risk of extinction thanks to climate change, unless we manage other threats. Management across such a large area like the basin is expensive, so smart decisions are necessary to make sure resources are used as efficiently as possible. So we want to know managing which invasive species will give us the most bang for our buck. And we want to know that it will continue to pay off under a changing climate. We combined local knowledge, scientific data and analyses to develop an efficient and rational set of strategies for managing the negative impacts of invasive species – the priority threat management approach. After comparing 11 different strategies for managing invasive species (including dogs, cats, camels and rabbits) we found managing feral pigs proved the most cost-effective strategy overall. Pigs impact many different native species (including flora and fauna). Experts estimated that pig control would have the highest uptake, a moderate cost and one of the highest benefits for threatened species. 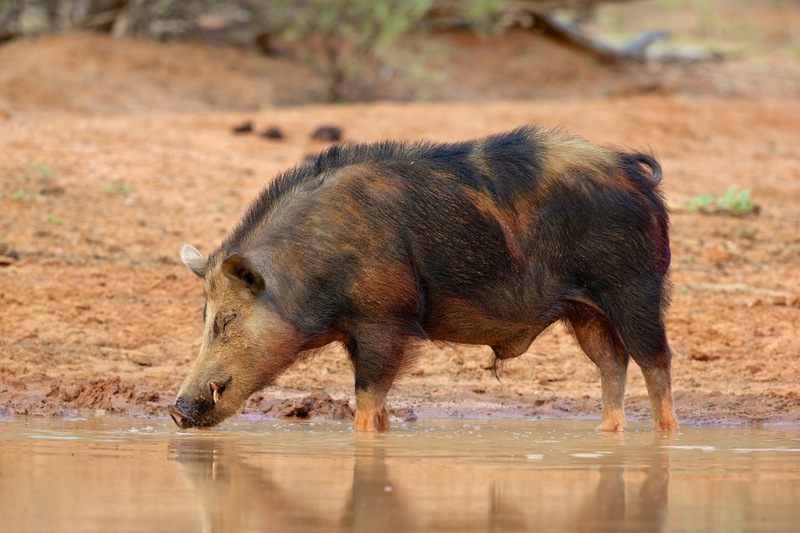 Managing feral pigs would make the most difference at the least cost to the Lake Eyre Basin. The benefit for threatened native wildlife of controlling pigs was estimated to decrease when the climate change scenario was considered. While managing pigs overall was the best strategy, if we focus on threatened mammals we find, perhaps unsurprisingly, that managing feral predators such as cats, dogs, and foxes is the best option. Invasive animals also impact on agriculture so managing them for biodiversity increases agricultural productivity. We found that managing predators (cats, dogs and foxes), goats and rabbits, would potentially increase agricultural productivity by 10% or more. We also found we would need to reduce invasive plants by 30% to reduce their impact, particularly parkinsonia, chinee apple and mesquite. We have limited funds for protecting Australia’s environment. Prioritising what action we take can help preserve our unique biodiversity now and into the future. We need to know more about CSG and groundwater, but does Tony Windsor have it right? Independent MP Tony Windsor has said he won’t back the government’s Mineral Resources Rent Tax unless more is done to make coal seam gas mining sustainable. He has called for $200-400 million annually from the tax revenue to go toward bio-regional assessments. He also wants to see the Commonwealth have greater power over granting coal seam gas mining rights. The term “coal seam gas” or CSG is being heard more often, and usually generates emotional responses. The gas, mostly methane, occurs in coal beds that are within sedimentary rock formations in geological basins. In many cases, these basins also support catchments that have drainage systems with prime agricultural soils and prized alluvial aquifer (sediment deposit) systems. The gas-bearing coal seams may be shallow or deep. Where they are shallow, these seams are often desirable targets. But in many cases they may also underlie alluvial or other aquifer systems. Small-scale production of CSG has been around for 10-12 years, but the exponential increase in activities in the past two to three years has caught both governments and the community ill-prepared. In the area of water resources and regulation, most emphasis in the past decade has been on drought-related issues rather than mining. The relationship between CSG and groundwater is intimate. Within the sedimentary basins there are a variety of aquifers including the highly valuable aquifers of the Great Artesian Basin (GAB). GAB aquifers occur both above and below some of the coal seams, which vary in thickness. These aquifers are the more permeable sandstone layers, and are bounded above and below by low-permeability layers such as shales and siltstone. Usually the coal seams themselves hold some water. In certain locations they are used as aquifers, commonly for livestock supply. The GAB artesian water resources are large scale, unique and exceptionally important; they enabled much of western Queensland and NSW to be developed from the late 1890s. Within the GAB there are numerous sub-basins. These artesian supplies were significantly over-utilised and poorly managed until the 1960s when water pressures started to drop. Combined federal, state, and private strategies were then implemented to reduce waste and restore pressures. Geological and water resources are part of dynamic natural systems. Management requires understanding and knowledge of these systems. This requires data, which comes from measurements and monitoring. Groundwater systems are an example of a major challenge, as they are “hidden” and require a different approach to surface waters. The big question is who does this management, and who takes responsibility for it in the long term? There has always been a degree of uncertainty about whether it is state or federal and who pays. Before the mid-1990s and introduction of a user-pays system there was better interaction between federal, state and private agencies, and communities. There is no doubt that if CSG and water resources are to be managed in a sustainable manner, this must be based on data collection, organisation and assessment. This has certainly started via the National Water Commission (NWC). State agencies received “blocks” of funding, but mostly for specific projects. Substantial federal funds went to the Bureau of Meteorology (BOM) to collect water data nationally. But groundwater still remains a major challenge. So there are several requirements for improving the sustainability of CSG extraction. One is the broader understanding of hydrogeology. This is based on knowing the geology, but considering it from the aspect of bearing water. The federal government has made Geoscience Australia a focus groundwater agency at a national level. This is an important step in the right direction but state agencies – which are “on the ground” – need more support to compile, integrate and interpret data. This requires additional funding. Information (such as water levels and salinity) needs to be collected on a regular basis for both groundwater systems (via bores) and surface systems (stream gauging stations). Computer systems these days can handle large data sets, and there is increasing capability for telemetered data, plus remote access. Data must, however, be in a format that is understandable by the broader community; in formats such as computer-based 3D visualisation, for example. These technologies exist, but are not yet widely implemented at effective scales. Tony Windsor has suggested allocating substantial funds from tax revenues for “bio-regional” assessments, and setting limits on CSG exploration. In theory both ideas have merit, but the application is not straightforward. The additional funding is clearly needed. Regional scientific assessments of natural systems are highly desirable, especially when integrating different disciplines. A major challenge is who would actually do the work: federal, state, local governments, private sector, consultancies, regional environmental organisations, research agencies, a combination of these? All take a different approach, but data and other outcomes would need to be integrated. Local communities should also play a role. Regional studies also take many years to complete, and would impose unreasonable delays on utilising this valuable resource. The surface component of these studies could be implemented relatively easily. But the subsurface component would require longer timelines. New data should also be incorporated. We know a lot about how CSG systems operate, but need to consider each location separately and at different scales spatially (such as local, catchment, basin) and temporally (seasonal, years, decades). CSG operators appear to have learnt much over the last several years, in particular how to interact with landowners and stakeholders. There is more acceptance of the view that local landscapes should be sustainable in the long term. Increasing effort is therefore put into community consultation. 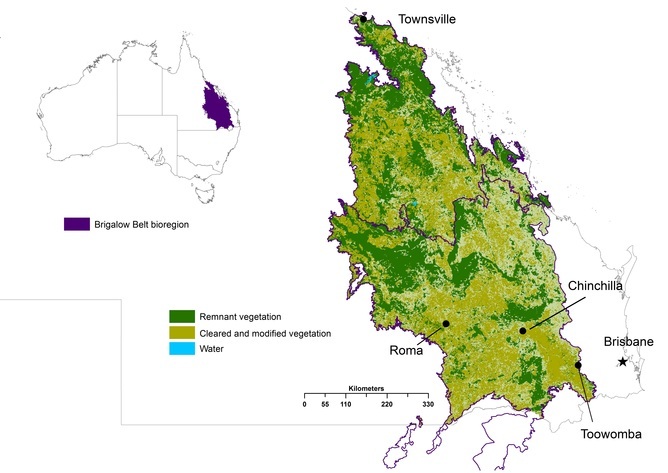 But there is still a long way to go in developing an holistic assessment of the sedimentary basin groundwater systems of Australia in which the CSG occurs, the needs of other users of groundwater, and interaction with many local stakeholders.